I admit it-- I have a sweet tooth. I have a particular fondness for both chocolate and peanut butter. I was so thrilled to find a product that had BOTH! 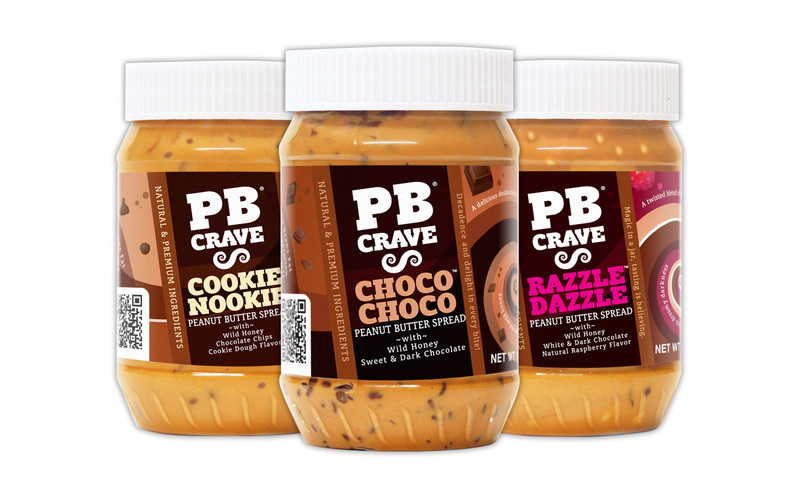 PB Crave is a peanut butter that incorporates other flavors. My personal favorite is Choco Choco. I especially love it as a sundae topping on these hot, humid days. I microwave a tablespoon for 15 seconds and drizzle it over vanilla ice cream! Delicious! You know what the best part is? They not only sent me 4 flavors to review here for you, but I can giveaway the Choco Choco Variety pack similar to the one seen here to one of my lucky fans! With a value of $20.97 you do not want to miss out on this one! Just enter below and maybe YOU could be the lucky winner! sounds YUMMY!! I want some now too! Choco Choco sounds soooo good. Mouth is watery! Oh, definitely the Cookie Nookie! I would have to say Razzle Dazzle! Ooo, tough decision. razzle Dazzle prob! 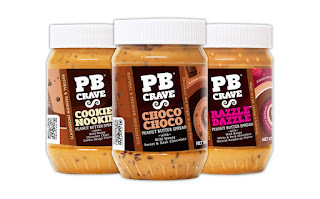 I would love to make brownies with Cookie Nookie PB Crave! YUM! I think I would love all the flavors but especially the CHOCO CHOCO! Yummy yum yum! I would like to try the Nookie Cookie! Mmmm, VERY difficult choice. I'll say Cookie Nookie would complete my life! I think I would like the Cookie Nookie flavor. My favorite flavor is either Razzle Dazzle or Choco Choco. I can't decide. kristiedonelson(at)gmail(dot)com Thank you. I'd love to try the Cookie Nookie flavor. I'd love the Choco Choco. I think we'd like Cookie Nookie. I want to try Choco Choco! The cookie nookie sounds really good! I'd really like the Cookie Nookie flavor! Thanks for the giveaway! Choco Choco sounds just yummy! Oh my YUM. Cookie Nookie for me! Choco choco would definitely be my favorite! Thank you!